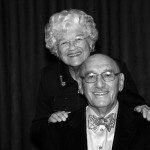 Louis Brier Jewish Aged Foundation’s Eight Over Eighty celebration honors eight individuals/couples who have shown exemplary leadership and vision in the community. Last week, the Independent profiled honorees Dr. Marvin and Rita Weintraub, Rita Akselrod, Dr. Jimmy White and Chaim Kornfeld. This week, the JI features honorees Serge Haber, Dr. Arthur and Arlene Hayes, Stan and Seda Korsch, and Samuel and Frances Belzberg. Serge Haber was born in Romania in 1928. After the war, he spent two years in Cuba, arriving in Montreal in 1949, where he worked in the garment business. Amid growing Quebec nationalism, Serge moved his family to Vancouver in 1978 and bought Kaplan’s delicatessen. Telling his wife was another matter. “I came home and my wife almost killed me. ‘What do you know about the restaurant business?’ So, I told her, I said, ‘If I survived for so many years in the textile business with the sharpest Jewish people in the trade, I will in the business of restaurants, and I will do well,’ and I did.” He sold Kaplan’s in 1993. For 20-plus years, Serge has been leading services at Louis Brier, where he served on the board for 17 years. Serge has also been on the board of Jewish National Fund, Vancouver. He spoke fondly of his childhood, and highlighted the special role his grandparents played. They lived close to the one-room school that was eventually built, “and this was our stopping point on the way home. Here, we were treated with love and kindness, and lavished with special treats. “After we left the farm, my father was involved in business in small mining towns in Alberta where we were usually the only Jews. I envied the Jewish life my cousins had in Calgary and enjoyed it with them whenever I was able to visit. Fortunately, my grandparents now lived eight miles away and I would spend my weekends with them. I learned about Judaism from my kind zaida, whom I loved dearly. Their love and attention to me was so complete that seemingly I was the centre of their universe. “I grew up in a wonderful Jewish community in Regina, Sask. 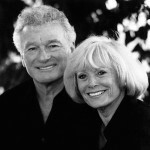 I was very fortunate, indeed,” Arlene Hayes said of her early years. “I had an idyllic childhood filled with a good elementary and secondary education system, a rabbi, a shul and an active Young Judaea movement, which played a huge part in my life. We even had a Young Judaean summer camp for six years in a row. My wonderful parents saw to it that I attended every one. Who could ask for anything more? In Vancouver, Arlene worked as a lab technician while Art got established. While Stan Korsch was born and raised in Vancouver, Seda was born in Winnipeg and raised in Calgary before coming to Vancouver. 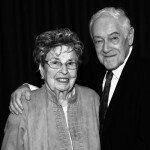 Stan met Seda at a Beth Israel youth dance and they married in 1948, a week before the synagogue opened at Oak and 27th. After moving around a bit, they settled back in Vancouver and into the family business, which was real estate. Stan was inducted as a fellow of the Real Estate Institute of Canada in 1958 and, today, is its oldest continuous member. Seda’s involvement with Hadassah is longstanding and she has held many roles within the organization, including being a founding member and president of Shalom chapter, assisting with the bazaar’s silent auction, and serving as vice-president, card-chair and men’s youth aliyah chair on the council. Her kitchen was the annual headquarters for the baking of kiffles for the bazaar. She was also a member of the Beth Israel Sisterhood. Stan’s Jewish community involvement began before the Second World War. 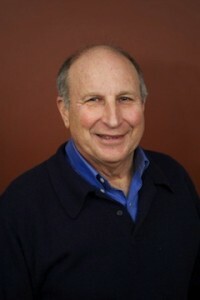 Over the years, he has held leadership positions with Young Judaea, Beth Israel Synagogue, the Menorah Society student group at the University of British Columbia, B’nai B’rith Lion’s Gate Lodge, Jewish Community Fund and Council (Federation’s predecessor), Canadian Zionist Federation, Lion’s Gate Building Society, Louis Brier Home and Weinberg Residence. 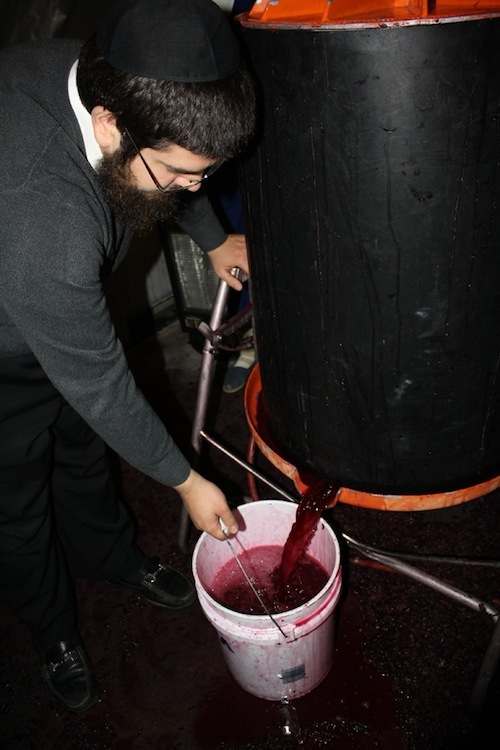 He still is an active member of his synagogue, especially in its daily morning minyan. 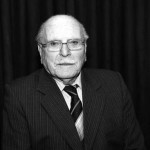 For his work with the Lion’s Gate Lodge, in 1999, he was awarded a Tikkun Olam Award for exceptional service to the community. “I had three major influences in my life,” Stan said. “They were all something to do with being Jewish. Israel has always been in my heart, and right from my high school days, before Israel was there. We wanted to provide a homeland for the Jewish people…. We were good at what we did. We had the youth group, which was active and, by that, I mean we also communicated with other Jewish young people in other Canadian cities. “My goal was always to keep Israel in mind, and the other one was housing. Because I was realtor, I realized there was a need – not cooperative housing – but for housing for those who are financially in need. I’ve always been a part of that in the community here; that’s why I was on the oversight committee and it took a lot of our time and effort those big projects,” including Haro Park, which took some 10 years to come to fruition. Both are honored to be one of the Eight Over Eighty. However, said Stan, “We don’t do these things for kavod. We can see the need and we are not just talk. We see the need and we get out there and do it. International businessman and philanthropist Sam Belzberg was awarded the Order of Canada, as well as an honorary doctorate from Simon Fraser University in 1989. He received the Governor General of Canada Award in 1992 and, in 2002, was promoted to Officer of the Order of Canada. In 2009, he was awarded the Order of British Columbia for his extraordinary philanthropy and community leadership. Investing leadership, time and resources, Sam helped found the Simon Wiesenthal Centre in Los Angeles in 1977 with a donation of $500,000. He is also the founder of both the Canadian and American Dystonia Medical Research Foundations. As an Action Canada co-founder and co-chair of the board, Sam is called “one of British Columbia’s most forward-thinking philanthropists” who “specializes in ambitious and innovative solutions to pressing issues, focusing his prodigious efforts on causes that appeal to his deep caring for humanity.” In addition to his many other accomplishments, Sam led and inspired SFU’s first fundraising campaign, which raised $68 million. His company, Gibralt Capital, today owns and manages real estate and capital investments. Frances Belzberg was raised in Los Angeles. Also involved with Action Canada, Fran is noted for her early involvement with racial issues as well as her early commitment to the state of Israel. 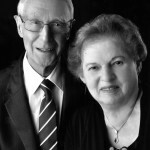 Frances and Sam married in 1950 and settled in Edmonton, where Fran was involved with several charities and became active in amateur theatre. The family moved to Vancouver in 1968 and Frances sat on the boards of Vancouver Art Gallery, Vancouver Playhouse and Vancouver Children’s Hospital. She was awarded the Order of Canada in 1995. For 25-year-old Israeli Anton Soloviov, the dream of working in Canada turned into a nightmare. Brought into the country as a temporary foreign worker seven months ago, he and others in the same situation allegedly worked without pay for their former employers, who are accused of using the threat of deportation to keep their employees in line. Last fall, while still in Israel, Soloviov said he saw an online advertisement for work abroad that promised earnings of up to $5,000 a month. Though his best friend warned him it looked too good to be true, it was an opportunity Soloviov couldn’t pass up. He applied online, interviewed with Canadian business owner and former Israeli Dor Mordechai over the phone and flew into Vancouver in October 2013. Mordechai and his wife Anna Lepski hired Soloviov as a foreign worker for their company, 0860005 B.C. Ltd., which operates kiosks in British Columbia malls, both in the Lower Mainland and on Vancouver Island. Soloviov, 25, said he met two fellow workers, also Israelis, on the ferry to the island and worked with them at Nanaimo’s Woodgrove Centre, at kiosks selling the Pinook Massage device and cosmetics, among other products. Soloviov said Mordechai and Lepski arranged housing for him and his fellow workers in a sparsely furnished house in Nanaimo, charging them $450 per month each in rent. At first things were OK. “The first few weeks were wonderful, they showed us around and took us to Service Canada to get our SIN numbers,” Soloviov recalled in an interview. Left with $300 after paying for his $1,900 airfare to Vancouver – a fee that is supposed to be paid by the employer of a temporary foreign worker – Soloviov managed to pay for food for the first month. But payday offered the first indication, he said, that the work was far from kosher. “Instead of paying us for a month’s work, our supervisor, Azi Qizel, also an Israeli, announced that we were working on commission so, after rent deductions and paying him $500 for our work permits, we didn’t actually earn anything,” Soloviov claimed. When he objected, Soloviov alleges that Qizel informed him that if he didn’t want to work, his work permit could be canceled and he would be deported by Immigration Canada. A few days before New Year’s, Soloviov went to the Nanaimo RCMP with his story, and then to the Salvation Army Emergency Shelter, since he had no money or accommodation. What’s more, he was unemployable, since his temporary foreign worker permit allowed him to work only for Mordechai’s company. Today, thanks to the intervention of the Central Vancouver Island Multicultural Society, which helped Soloviov find an immigration lawyer, he now has an open work permit and has found employment at a fast-food outlet in Nanaimo. A friend has offered him a place to stay for the time being. But Soloviov’s future still feels uncertain. Immigration officials say that Soloviov fits in the category of a “victim of trafficking in persons.” He has filed a complaint against Mordechai and Lepski with Employment Standards and the RCMP are investigating the death-threat complaint against Qizel. Some of Mordechai and Lepski’s mall kiosks are still operating today. The pair are now being formally investigated, according to the office of Jason Kenney, Canada’s minister of employment. Since the case deals with potential human trafficking, it is being handled by the Ministry of Public Safety. 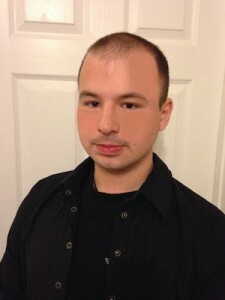 Citizenship and Immigration spokesperson Rémi Larivière said the Government of Canada takes the issue of exploitation and mistreatment of temporary foreign workers (TFWs) very seriously and that improvements to the program took effect on Dec. 31, 2013. These include allowing Citizenship and Immigration and Employment and Social Development Canada officials to conduct inspections of employers who hire TFWs to ensure that they’re meeting the conditions of employment. Service Canada has also made some changes, launching a public tip line to encourage Canadians who have any complaints, to share them with the agency’s Integrity Services. Bev Cooper read her poem about how she came up with the word “rewired,” rather than retired. For Cooper, the word “rewirement” has become her cue to search for ways to ride the waves in the difficult times. And, in the more comfortable times, rewirement propels her to use the opportunity to seek out new challenges. Cooper then called upon Gloria Levi, social worker, consultant in the field of gerontology and co-author of Dealing with Memory Changes as You Grow Older, to be the moderator of the afternoon’s forum. She spoke of her personal connection to JSA and introduced gerontologist Roz Kaplan, director of the seniors program at Simon Fraser University’s continuing studies. Kaplan said that most people nowadays will live some 30 years after retirement and that we need to prepare for that time. Retirement is not a destiny but a journey for which we should “pack” essentials and, as with all journeys, some of us will be better equipped and prepared than others for the trip. With the average life span for Canadians now into the 80s, we were encouraged to keep learning: an instrument, a language, dance steps, the means to rise to challenges and accept change. We were told we needed confidants, connections, community and having a passion. This journey would be a path to opportunity and, as we age, we should divest ourselves of “extra luggage” to enable us to reinvent ourselves. Most of us got through life identifying ourselves with our work, noted Kaplan, and reinvention would allow us a chance to ease into retirement. The stages of life usually encompass birth, education, work, retirement, death. It is up to us to fill in the gaps with personal growth. Many of us return to an encore career. Family, friends, fitness, travel, volunteering and various hobbies serve to keep us vital. A recommended read was Creating a Healthy Retirement by Dr. Ronald and Lois Richardson. After a brief question period, Levi introduced speaker John F. Helliwell, an officer of the Order of Canada, a fellow of the Royal Society and senior fellow and co-director of the Canadian Institute for Advanced Research. As a professor emeritus at the University of British Columbia, Helliwell has written articles on “how to build happy lives,” the topic of his talk, and is a co-editor of The World Happiness Report. We started by singing “If You’re Happy and You Know It.” Helliwell asked if we were any happier after the shared singing than before, and most, if not all, of us were. How do we measure happiness? Usually this is not a question asked by our doctor or therapist; rather, we are asked if we are sad or depressed or possess negative feelings. Negativity is not only a state of mind but also affects our physical well-being, Helliwell explained. An example was given of students in a hotel room who were all exposed to the rhinovirus. Those with negative feelings/attitude generally succumbed to the cold germ, whereas those with a positive outlook were much less affected, with some even escaping being sick entirely. It was also suggested that we need to concentrate more on health building rather than health repair. Economic factors are far less important to happiness than bonds with other people and assisting each other to overcome strife and difficult circumstances. Iceland and Ireland were given as examples of quality of life because the people living there showed, on average, more concern and care for one another. Aristotle stated that a fine quality of life brings happiness to individuals in a variety of forms but we all agreed on aspects needed for good quality of life: food, health, trust, freedom (to make decisions and feel actively engaged in one’s life) and generosity (doing nice things for others raises one’s own happiness). Another example offered by Helliwell was of a care home in Denmark, where the staff had been asked to design the home as if they themselves were to be its residents. Their advice was to do away with uniforms for staff, to dispense with bibs and to make mealtimes variable. At one of the homes, the chef even drove the residents to a local movie theatre and they all enjoyed annual holidays together, more like one would expect if one were with close family. In a residence where there were two floors, one known as generally happy, the other, unhappy, residents on the “unhappy floor” were asked to design the space in which they would be living in a new building and suggestions were made, followed and increased happiness ensued. In another instance, a seniors residence was combined with a day care, and seniors and juniors interacted happily, all benefiting, a little like symbiosis. No one broke the rules, nobody wandered away searching for the home they had left – they all felt they were home. During the question period, it was asked why Israelis are happy even though they live such stressful lives. The answer seemed to be that there really is no time for introspection. As well, all are united in the common bond to continue to defend and build their country and that aim/purpose builds happiness. 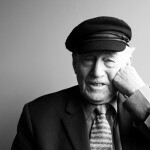 After summarizing the two speakers’ talks, Levi spoke of JSA president Serge Haber and his countless contributions to the community through the years and of his being one of those honored at the Louis Brier Jewish Aged Foundation’s Eight Over Eighty (on May 25). Haber asked everyone to rise for a moment’s silence to mark Yom Hazikaron, commemorating fallen soldiers; he pointed out the Israeli flags in the centre of each flower arrangement, celebrating Israel’s Independence Day. As refreshments prepared by Bagel Club Catering were served by JSA volunteers, Haber thanked those who had convened the forum and emphasized that much of this would not have been possible without the efforts of the amazing staff, Karon Shear and Rita Propp. Shear also took a video of the forum, which will appear on the JSA website. Herb Calderwood, the afternoon’s musical entertainer, handed out songbooks and charmed the crowd by announcing that he may not know all the songs in the book, as he does not read music, but he asked us to call out our request by number. He delighted us as well with a game of “Name That Tune,” and those who guessed the tune were rewarded with a prize. Door prizes further kept the happiness quotient high and the afternoon came to a happy conclusion, as the audience did indeed leave rewired. ORT is an organization that doesn’t seem to register a great deal of recognition in Vancouver. It is, however, one of the largest and perhaps the oldest international Jewish nongovernmental organizations. 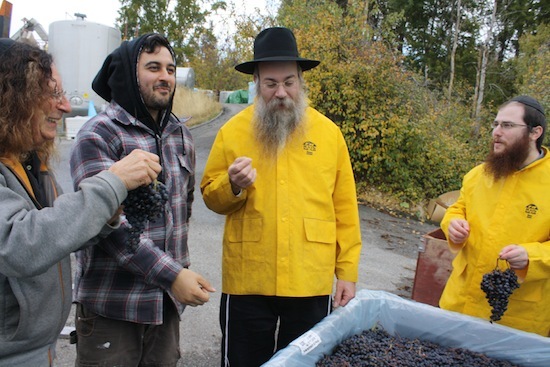 Established more than 130 years ago in Russia (ORT is an acronym for the Russian words that translate as the Society for Trades and Agricultural Labor), ORT sought to train Jews in modern trades and agricultural practices. It established schools for technical training all over the world and currently provides technology-focused training in 100 countries. But who knew? Vancouver ORT would like to everyone to know. In order to raise awareness of the work ORT does around the world and in Israel, Vancouver is hosting a pilot project new not only to Canada, but a first internationally. “ORT Canada has always sent support to Israel. Now ORT Israel is supporting ORT Vancouver,” said Naomi Pulvers, one of Vancouver’s longest- serving ORT volunteers. With its emphasis on technological education, Pulvers explained, ORT Israel has developed a successful program in schools around Israel’s physical and socio-economic periphery, bringing cutting-edge educational technology into the classroom. Started in 2010 in the Galilee, the program expanded to the Negev when Israel’s Ministry of Education recognized the benefits of this interactive way of teaching. 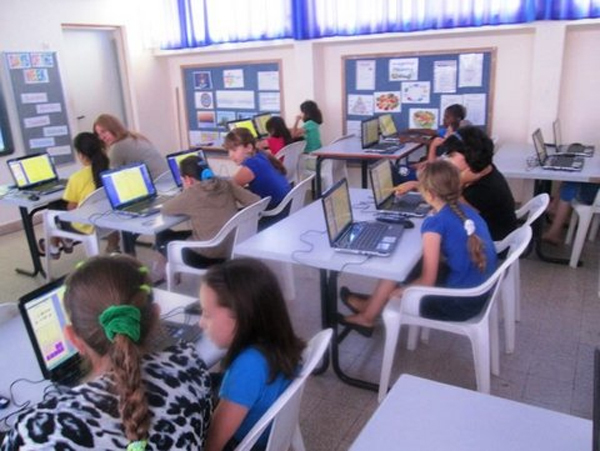 Currently, 420 classrooms around Israel are using ORT’s program. This technology will soon be implemented in three local Jewish schools. “We have chosen King David High School, Richmond Jewish Day School and Vancouver Talmud Torah as the recipients of a ‘smart classroom,’” Pulvers noted. “We will have to raise $25,000-$35,000 locally for each classroom.” Equipment provided includes projectors, Smart Boards, remote software, laptops, handheld slates, wireless routers and speakers. In addition, some classrooms may need to be hardwired for the technology to run. Eventually, students will benefit by having the opportunity to interact with learning in ways they not have been able to before. The equipment provided is just one part of the program, however. The crucial element to implementing any system effectively is in understanding how to use it properly. Instruction and technical support are the other ingredients ORT provides to make this program effective. While here, Kenig and Gibory will also help ORT publicize its program by presenting two educational evenings intended to raise investments from local donors for what ORT sees as the future of education. These meetings, on May 20 and 21, will mark a new era in engagement and fundraising in Vancouver, targeting local Jewish education with an eye to the future. Pulvers explained that ORT has always focused on the end goal of employment. “What kinds of jobs will be available in the future? We need technology to keep things going. In medicine, industry … they all need technology, and this is what ORT does. We help kids branch out into all aspects of technology,” through the use of smart classrooms. Evidence from the use of these technologies in Israel suggests that they boost the confidence and morale of students who have been reluctant learners or participants. Students are able to collaborate in the lesson, and with each other and the teacher, in new ways. For more information or to attend the May 20-21 meetings, contact the director of ORT Vancouver, Mary Tobin, at 604-276-9282 or [email protected]. Michelle Dodek is a writer, mother and community volunteer who has been involved with many Jewish organizations in Vancouver. More than 650 people attended the Jewish Family Service Agency’s 10th annual Innovators Lunch on May 1. This year’s keynote speaker was Wealthy Barber author and Dragons’ Den investor David Chilton. In his thanks and remarks, Steinberg noted how the Innovators Lunch had grown over the years, generating “significant funds for many important programs and services provided by JFSA.” Through corporate sponsorships, ticket sales and donations, this year’s lunch raised a record amount – more than $315,000, JFSA director of development and communications Audrey Moss told the Independent Monday. Event chair Jackie Cristall Morris echoed those sentiments in her comments and offered thanks to all those who contributed to the lunch as she invited Dr. Neil Pollock to the podium. He and his wife Michelle were this year’s event angel donors, matching dollar for dollar any new gifts or portion of increased gifts, up to $20,000. “I can see that every additional dollar that I give helps to make the life of someone in need, in our local community, a little bit better. That is why we decided to offer the matching gift opportunity for the JFSA this year,” he said. Pollock praised JFSA as “a lifeline” for many, and encouraged everyone to give outside of their comfort zone, reassuring them that it would not change their circumstances, but would help change the lives of JFSA clients. Shay Keil of Keil Investment Group at ScotiaMcLeod, which co-sponsored the lunch with Austeville Properties, introduced Chilton, who proceeded to entertain the audience with several jokes and stories, all of which had a humorous element. He started off bemoaning Fifty Shades of Grey’s unseating of The Wealthy Barber as Canada’s all-time bestselling book. 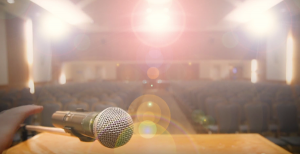 He then recounted what happened when he first returned to public speaking after a brief retirement, during which he was engaged in various projects, including homeschooling his kids for a few years. When the laughter subsided, Chilton shared a couple of funny stories about the beginning of his career. One happened at the start of his tour for The Wealthy Barber. He was waiting at the Calgary airport for a flight and visited the bookstore. Seeing his book on display, he offered to sign some copies, only to have the clerk want to know why he would want to do that, not believing that the 25-year-old in front of her could have written it. The entire season of Dragons Den is filmed in 21 days and, for these 21 days, the dragons must always wear the same clothing because the decision as to which pitches form each individual show are made only after all the filming is complete. Chilton spoke of how he became involved in Dragons’ Den (“I’ve had so much fun doing the show”), how it has changed his life (he’s no longer always asked whether it’s best to pay off one’s mortgage or max one’s RRSP, but rather whether his fellow dragon, Kevin O’Leary, is really a jerk), how it attracts very passionate fans, some of whom are inspired to go into business, and a few of his favorite entrepreneurs and most profitable or surprising investments. He also shared other tidbits. He explained, for example, that the entire season is filmed in 21 days, over which they see 230 pitches. For these 21 days, the dragons must always wear the same clothing because the decision as to which pitches form each individual show are made only after all the filming is complete, and there needs to be continuity within each show. Outside of Dragons’ Den, Chilton has invested in other businesses. Notably, he helped cookbook authors Janet and Greta Podleski – after about a year of them wooing him. He spoke with obvious fondness and admiration for the sisters, who almost went bankrupt (paying their mortgage with credit cards!) before they saw success. Their first book, Looneyspoons, spent almost two years on the national bestseller list and sold 850,000 copies in Canada alone. They have since published more cookbooks and expanded into other food-related ventures. For more information about JFSA, call 604-257-5151 or visit jfsa.ca. In a night of many interesting and challenging ideas, one of the most interesting came late in the question period. Determining when a person has died is not just a matter of biology, but of choice. According to Dr. David Silver, the question to ask is, When is the person who is valuable and valued gone, even if the body remains alive? Silver, chair in business and professional ethics and director of the W. Maurice Young Centre in Applied Ethics at the University of British Columbia, was one of five panelists participating in A Community Conversation about Death and Dying, hosted by Sisterhood of Temple Sholom, Women of Reform Judaism, at the synagogue. Organized by Sisterhood’s Brenda Karp, the event was hosted by CBC broadcaster Stephen Quinn and also featured Dr. Romayne Gallagher, head of the palliative care division of the department of community and family medicine at Providence Health Care; Rabbi Dan Moskovitz, senior rabbi at Temple Sholom; lawyer David Karp, partner at Myers, McMurdo and Karp; and Katherine Hammond, a registered nurse, whose family is fighting for their mother’s right to die. Some 350 people came to hear the conversation. Preparation for death is important, agreed Gallagher. Avoidance is one way of dealing with the fear, she said, but most people seek a way of coping, trying to control as much as possible this part of their life. Palliative care, she stressed, is not “just for the dying,” it’s about living well as long you can. In palliative care, death is a part of life. Gallagher referenced Dr. Elisabeth Kübler-Ross’ research on death, in particular the book Death: The Final Stage of Growth. She remarked how people near the end of life continue to grow spiritually and emotionally, despite the physical breakdown of their bodies. This growth, of course, is hard if you’re in pain, and one of palliative care’s aims is to relieve the suffering as much as possible, and help people deal with the pain that cannot be relieved. 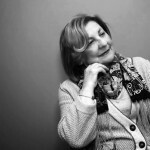 People nearing the end of life are vulnerable, she continued – physically frail, worried about their loved ones, perhaps they have financial pressures – so when someone in this situation expresses a desire for the dying process to go faster, you need to ask them what it is that they are feeling. In most cases, she said, there is something that can be done to help with the acceptance of the changes that are occurring. Unfortunately, palliative care is currently a patchwork of services, she said. More funding is needed and, Gallagher suggested, we’re perhaps spending too much on technology and finding cures and too little on figuring out how to live well with a chronic illness. She advised that people help family members by making a plan, letting your family know how you would like things to progress. It won’t guarantee a good or easy death, she said, but it can ease the suffering and help you live as long as possible as well as possible. Moskovitz referred to Ernest Becker’s The Denial of Death as one of the most important books he has ever read. Becker posited that, even though we know we are going to die, we don’t believe it: we deny death so that we don’t become paralyzed by fear. One of Becker’s astute observations, said Moskovitz, is that our obsession with not dying gets in the way of our fully living. We don’t talk about death, or we whisper “cancer,” out of a superstition that it will bring death about. However, Judaism wants us to do the opposite, to do teshuvah (repentance) every day, for any day may be our last. One of the Jewish customs that embraces the reality that no one lives forever is that of ethical wills, said Moskovitz. They used to be part and parcel of life. Parents would write a letter to pass on values to their children and grandchildren, summing up what they had learned and what they wanted their children/grandchildren to know/live in their own lives. Ethical wills are not easy to write, he acknowledged – it is not easy to determine what is worth noting from one’s entire life – nor are they easy to read or to receive. He suggested that people imagine, if you had just one letter to write, to whom would it be addressed, and what would you like them to know? About such things as ethical wills and personal directives, Karp pointed out in the Q&A that they are not legally binding. However, Gallagher noted, they are helpful to family, friends and caregivers, advising people to restrict the content to value matters rather than types of treatment, which may put caregivers in a difficult position. In his talk, Karp spoke about some of the legal issues relevant to assisted suicide (suicide committed with the help of others) and euthanasia (the killing of another to relieve dire suffering). The latter is only legal in Belgium, the Netherlands and Luxembourg, he said, and assisted suicide only in Switzerland; there are assisted dying laws in Oregon, Washington and Vermont. Karp said the seminal case in this matter was the 1993 Rodriguez v. British Columbia (Attorney General). In a 5-4 decision, the Supreme Court of Canada voted against terminally ill Sue Rodriguez’s right to assisted suicide. Another important decision came from the B.C. Supreme Court in 2012, which “struck down the prohibition against physician-assisted suicide, calling the law discriminatory, disproportionate and over-broad.” Justice Lynn Smith suspended her ruling to give Parliament time to redraft the legislation, said Karp. The Supreme Court of Canada agreed in January of this year to an appeal of the appeal, and so will be considering this issue again. Karp predicted that the court will rule against the government, given how Canadians’ views have changed and the experience of physician-assisted suicide where it is legal – there is no evidence of increased deaths among women, lower-income, uninsured and members of other vulnerable populations. Hammond and her family have been fighting their own legal battle for her mother Margot Bentley’s right to die. Hammond described the mental and physical decline of her mother. In a care home for years now, her mother can’t walk, stand, she is unresponsive, kept alive with spoon-feeding. In 2011, said Hammond, the family showed the living will to the care home and, initially, they agreed to follow it, but Fraser Health (the regional authority) intervened and legal proceedings ensued, with the decision that her mother will be cared for despite her expressed wishes. It’s a human rights issue, said Hammond, according to lawyer Kieren Bridge, who offered to represent her family on a pro bono basis. The family continues to fight – Hammond said she is sure they are doing the right thing. As advice to others, she recommended that people fill out a representation agreement. If your doctor won’t honor your wishes, she said, find another one. She also recommended that people join the group Dying with Dignity. After the Q&A, Sisterhood president Reesa Devlin closed the event, thanking the panel, Brenda Karp and other volunteers. Ian Penn of the Second Generation set the tone, as master of ceremonies, for Vancouver Holocaust Education Centre’s Yom Hashoah commemoration on Monday, April 28. A standing-room-only crowd at the Jewish Community Centre of Greater Vancouver’s Wosk Auditorium attended. Survivors from the local community lit candles in memory of all those who died. Chazzan Yaacov Orzech (Second Generation) chanted El Maleh Rachamim and survivor Chaim Kornfeld, the Kaddish. Dr. Moira Stilwell, MLA, spoke on behalf of the province. To survive, Doduck hid with non-Jewish families and in orphanages, took refuge in storm sewers, cellars, as well as in a hayloft, from which she bears a scar from a pitchfork wielded by a Nazi soldier looking for Jews. “I lived mostly in darkness, literally.” When she returned to Brussels years later, she said, she couldn’t recognize it in the light. “I became tough and streetwise and, because of my young age and my unusual photographic memory, I was used as a messenger in the French Underground. I was even smuggled into a prison to pass a message into my sister Sarah…. Like a fugitive, I lived in fear and confusion in more than one country…. The people I lived with often beat me, and often treated me like a slave … even though they were paid by my family to keep me in hiding. There were also those that risked their lives to save me.” Among them, a convent’s mother superior and a German friend of Doduck’s brother. Doduck recalled a friend’s death. Savagely beaten, the girl died in her arms. “If I had not forgotten to make my bed and, therefore, been forbidden to go outside [the convent],” said Doduck, she, too, would have been killed. She warned, however, that there “are many who are now denying the Holocaust and so we must bear witness…. Because we survived, we have a duty, an obligation, to see to it that these truths are not forgotten…. I read that the truth is not only violated by falsehood, it may be equally outraged by silence. And I refuse to be silent. Future generations must know and learn. This must be done, however painful. It is our sacred duty – prejudice, hatred, racism, antisemitism have no place in our society. Throughout the evening, musical selections were performed by Claire Klein Osipov or members of an ensemble that included Gil Ashkenazy, Megan Emanuel, Samantha Gomberoff (Fourth Generation), Maya Kallner, Sasha Kaye, Jared Khalifa; Kathryn Rose Palmer, Brian Riback, Talya Kaplan Rozenberg, Ayla Tesler-Mabe and Lorenzo Tesler-Mabe, all of the Third Generation. Wendy Bross Stuart, who produced the evening with husband Ron Stuart, was on piano, Eric Wilson on cello. The organizing committee was Cathy Golden, Ethel Kofsky and Rome Fox, all of the Second Generation. A fundraiser for the Louis Brier Home and Hospital is urging community members to make a two-year commitment so the facility can rely on sustainable funding to plan for the future. 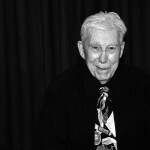 “We are asking for people to consider making a commitment for two years so that we can tell the Louis Brier ‘we have raised this much money, we will know that it’s there for two years, you go ahead and make the plan you need to make that will take maybe two years to come to fruition and to give the maximum benefits to your residents,’” said Bernard Pinsky, co-chair of the Sustain, Maintain and Enhance campaign. The last campaign raised $600,000 in each of three years, Pinsky said, and organizers hope this effort will be at least as successful, if not more. The campaign has been underway for several weeks and culminates at the end of this month. A major celebration – Eight Over Eighty – takes place May 25, when eight individuals and couples will be recognized for lifetimes of dedication to building community. The campaign is important to the facility, Pinsky said, because the calibre of the home and hospital depends on the support of donors. 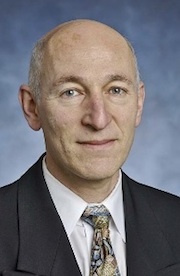 The Louis Brier does not receive funding from the Jewish Federation of Greater Vancouver allocations or from United Way, Pinsky said, and the Jewish-specific components of the home’s character are not funded by government allocations. “In order to make sure that we have the best facilities for seniors in our community the Louis Brier Aged Foundation needs to raise the money to distinguish it from other seniors facilities – many of which are very good, but they do not have the Jewish component,” he said. 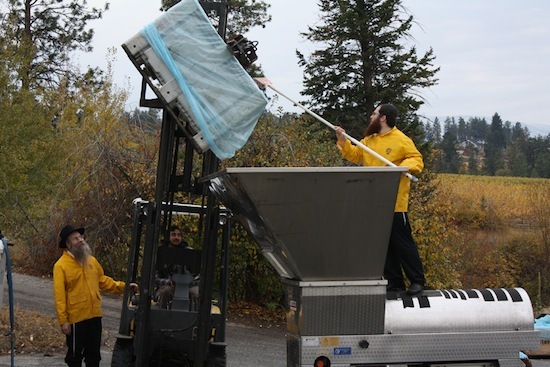 Pinsky identified programs and activities such as kosher food, daily services, Shabbat services on Fridays and Saturdays, Yiddish and Hebrew classes, Jewish-themed discussion groups, films, lectures and performances as examples of the type of “extras” the fundraising supports. Louis Brier also has top-notch physiotherapy, art therapy and music therapy programs, he said. The differences made by these services are significant, he added.